We have a range of free and low-cost education opportunities available for students of all ages. This page aims to provide an overview of resources council can provide teachers in preparing class lessons and activities. Council currently own and operate two premier galleries, three library branches and two theatre venues, all of which provide unique education opportunities to complement your teaching. We also provide online learning opportunities through databases, local history resources, and access to websites such as Your Tutor which provide personal tutoring sessions for students. 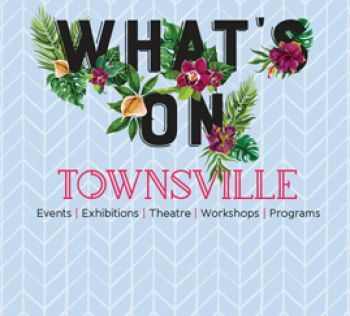 The Tools for Schools: Learning Opportunities at Council booklet is a new initiative which pulls together education resources across Galleries, CityLibraries Townsville and Theatres in an accessible online flipbook. We encourage you to explore the booklet and check back to the page regularly for new opportunities. The booklet will be expanded over the next 12 months to cover all of the learning opportunities available at council. For more content which may be relevant to your students, please browse the links below.